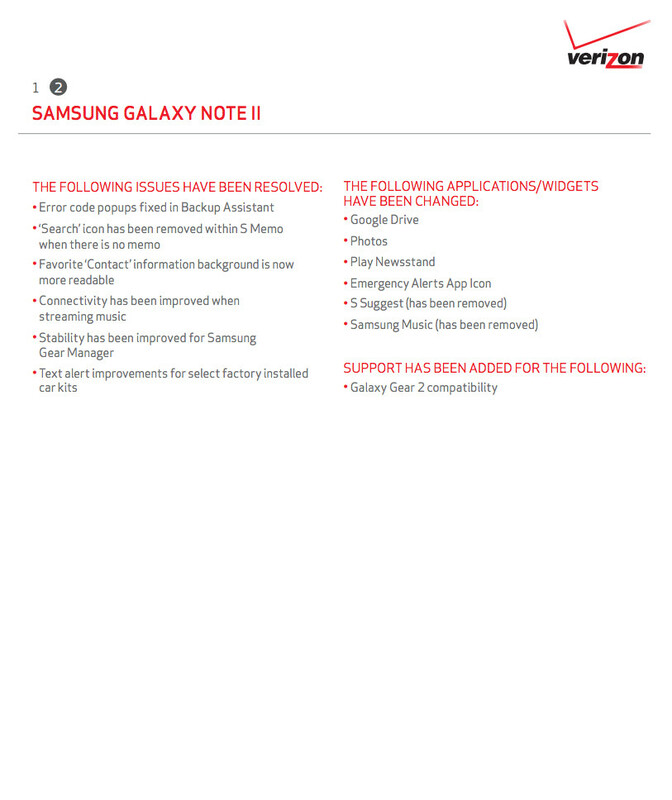 Verizon Galaxy Note 2 Gets Kit Kat! 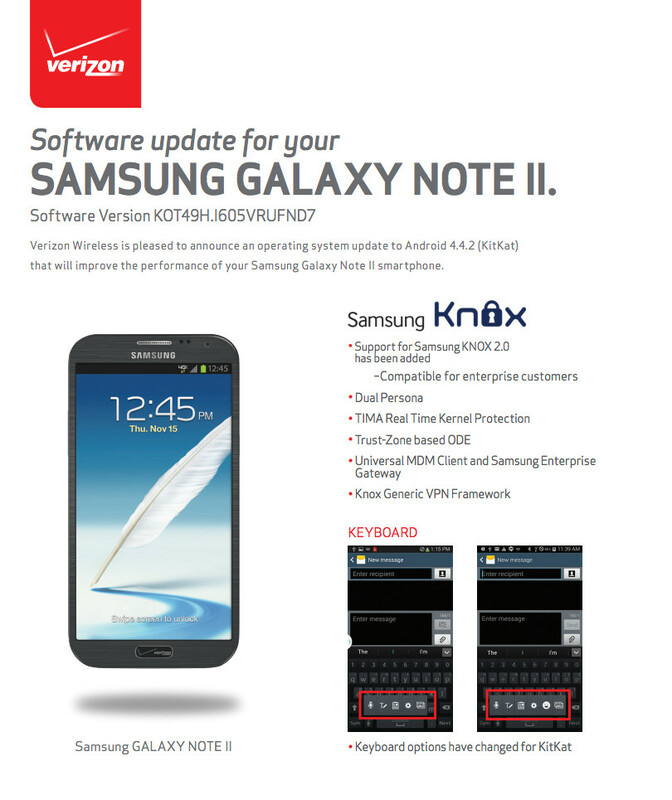 The Samsung Galaxy Note 2 on Verizon is receiving Kit Kat (Android 4.4.2)! 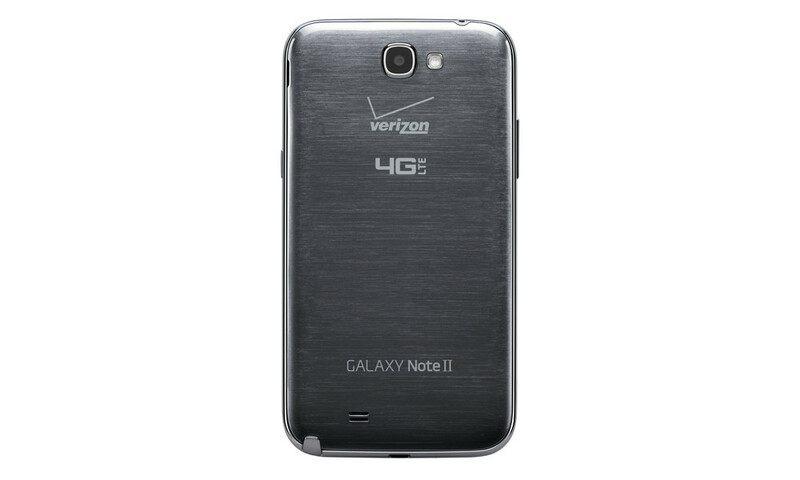 If you can believe it, after the extremely long waiting period that plagued the VZW Note 3’s Kit Kat, today’s update actually brings the 4.4 love to Verizon’s Note 2 before both AT&T and T-Mobile variants. The update adds support for Samsung KNOX 2.0, which includes features like Dual Persona, real time kernel protection, VPN framework, and a universal MDM client. If the enterprise side of the update means nothing to you, then know that you are also getting a brand new keyboard, along with other Kit Kat goodies. Verizon’s changelog doesn’t get deep into the details, but you should see a revamped lock screen with enhanced media controls, the option to choose a default SMS app, restyled notification bar, wireless printing, and more. The update has been approved by Verizon, so rollout to your handset should happen with a couple of days. To check for it, head into Settings>About Phone>System updates.